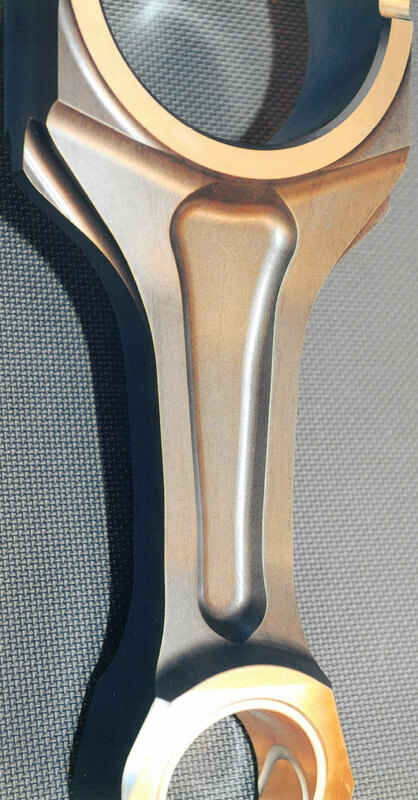 A connecting rod is one of the most complex of engine parts. The reason is it belongs to a category called 5C’s (Cylinder Block, Cylinder Head, Crankshaft, Camshaft & Connecting Rod (Conn-Rod)), is that these are considered the engine components that need to be designed & manufactured correctly to result in a “Good Engine”. None of these components can be designed in isolation as they all interact & have features that drive other features in these critical components. As a specialist conn-rod Full Service Provider, Albon Engineering & Manufacturing PLC are able to undertake the necessary design, analysis, validation & production process work to facilitate a conn-rod fit for any engine & application. Concept parameters will define aspects of Engine Capacity, Layout (inline – vee), fuel type, engine speed & compression ratio. At this point Crankshaft journal diameters can be calculated, as can conn-rod pitch, large-end (L/E) bore. Piston characteristics will define Piston Pin & conn-rod small end (S/E) characteristics. Design options now exist, should the S/E bore be bushless, should the joint face be perpendicular or angled, should the L/E have a fracture split joint face, how many bolts are needed (2 or 4 usually). Only features that are required for the final design should be machined, this assists in creating a least cost design. Finite Element Analysis (FEA) will show stress levels in selected material & proposed design, enabling the design to be optimised for least material. A comprehensive database established from extensive analysis & physical testing creates the fundamental rules for allowable stress limits. Once the design is approved & interaction with the other critical component confirmed a design can move to prototype phase. Ideally conn-rod forgings are sourced from production intent dies & machined using “Make Like Production” processes to produce a truly production representative part. Push & pull fatigue testing is used to test the conn-rod design & verify it exceeds the minimum strength & life expectations. Unlike many other components that require additional validation testing as production approaches, conn-rods can be fully validated and approved early in the development cycle. Conn-rod production processes are installed ahead of engine trial builds, as are the production streams for all the other engine components. Engine testing continues thoughts this phase, ahead of full-blown Start of Production. 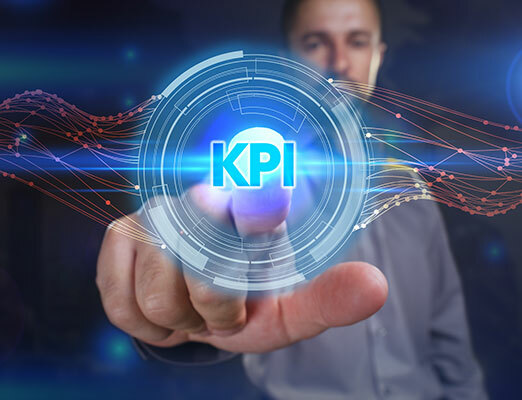 Throughout Albon engineering we track, report and discuss a variety of key performance indicators (KPI’s) on a Monthly or quarterly basis depending on the performance of each. This helps us ensure we are achieving our desired metrics or excelling them, but equally if we are noticing area’s that are under performing or needs the attention of the team this is our opportunity to drive our continuous improvement program and correct any issues. This approach has helped us achieve lower scrap % in relation to production, which not only lowers the cost to us in producing the component but also lowers the risk in sending reject parts to the customer. Not all our KPI’s are quality related, we try and capture all aspects of the business from quality objectives, as stated, through to energy we have used in producing the components, as we believe we not only have a quality obligation to our customers but also an environmental one, and we can see through our metrics our successes with reducing our carbon footprint. The quality department at Albon engineering stretches to every member and employee, from company directors through to machine operators. Every employee has vital and effective input into the quality of every component at every stage of production. We understand that it is imperative to the future successes of Albon engineering that we hold quality of paramount importance. From initial design consultations we remain very active in building quality into the design of not only the component but the production line it will be machined on. Wherever possible we will failsafe (poke yoke) all fixturing, tooling and production methods. Once production commences we have a multitude of gauging, work instructions and control plans placed at every machining centre to instruct the operator what quality checks are expected, the gauge frequency and direct instructions relating to that operation. We also have a dedicated inspection team, ensuring all gauging is calibrated and fit for purpose, quality engineers measuring aspects of a component that would need to be performed offline, this type of inspection will be performed in our temperature-controlled measuring lab using either our Zeiss CMM or other specialist measurement equipment. 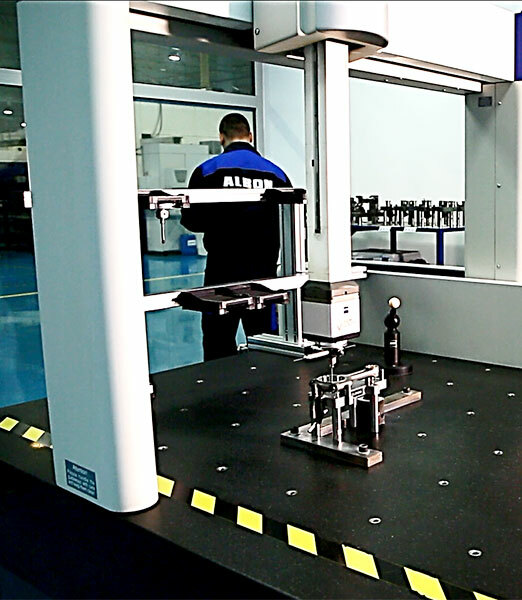 We also have the ability, with our experienced team, to measure components using first principle measurement techniques, this can be extremely useful when quantifying Zeiss programs, and visually showing current customer base an alternative method. Once the component is complete we also 100% visually inspect every component before packing. All our quality assurance measures we have implemented contribute to our world class PPM performance and help Albon engineering drive towards our desired zero tolerance customer rejects policy. Find out about all of the Albon factories, where they are based and how to find each factory.